The Clipper 2015-16 Race prizes have been awarded at a ceremony in St Katharine Docks following the conclusion of the global series in London. First, the pennants were awarded for Race 14, the finale of the series, with Derry~Londonderry~Doire taking the first place pennant for its victory last night. Visit Seattle was awarded the second place pennant, and LMAX Exchange the third place pennant for Race 14. Each of the twelve teams then took to the stage and were presented with a framed photo of their boat. 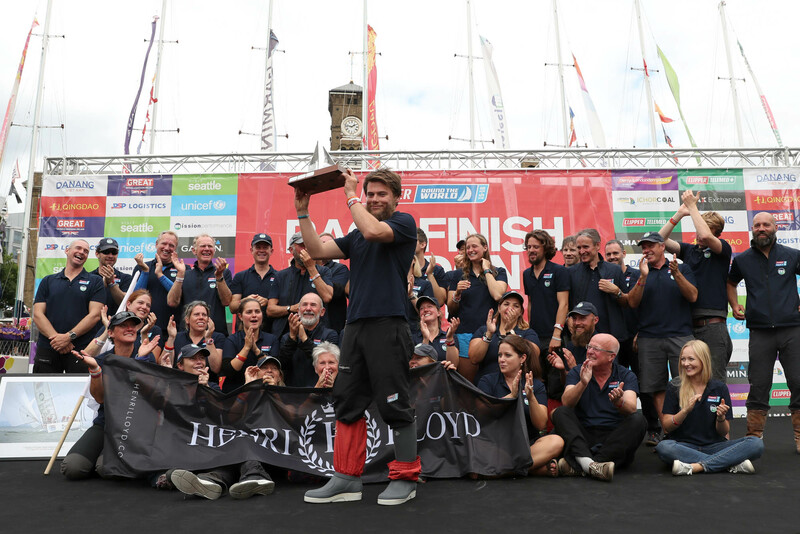 The three podium teams were the final crews to go on stage, with GREAT Britain (third overall), Derry~Londonderry~Doire (second overall) celebrating before LMAX Exchange was awarded the overall Clipper Race Trophy for its 2015-16 series victory. Clipper Ventures CEO William Ward and chairman and founder Sir Robin Knox-Johnston presented the prizes to the podium teams. LMAX Exchange crew members and their Team Sponsor celebrated on stage before Skipper Olivier Cardin was thrown in the water, a tradition amongst sailors at the end of races. The Henri Lloyd Seamanship award was presented to Mission Performance crew member Gavin Reid for his rescue of a stricken yacht off the Australian coast in January which had a crew member stuck up the mast. 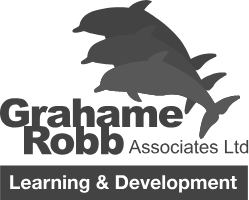 Gavin swam to the yacht and assisted with the rescue on a non-Clipper Race yacht whose crewman had been caught at the top for 7 hours. Gavin, who was born deaf and wears hearing aids, helped free the crew member in rough conditions. The overall Stormhoek Social Spirit Award was given to the crew of Visit Seattle, which had won three awards previously. Before announcing Visit Seattle as the winner, Stormhoek owner Bernard Fontannez said: “They are the ones who dance as they come and as they leave. The ones who win while they are dancing. The ones who founded a school project making children discover the world. The ones who invite you to visit their place. These ones are the ones who personify at best what the Stormhoek Social Spirit is all about! “The Stormhoek Social Spirit is about the team, its cohesion, its high spirit and, ultimately, that they are true to who they are. Congratulations Visit Seattle!” Bernard added. To see the final leaderboard standings, click here. To see all the images from Race Finish and the prizegiving, click here.